ETS has trusted and proven local bi-lingual (French/English & Arabic speaking) executive protection specialists and security drivers within Morocco. We are able to operate within urban areas and also support expeditions heading out in the desert regions. There is a medium threat from terrorism in Morocco. Incidents of violent crime occasionally occur and petty crime is common. Morocco has a poor road safety record. Terrorist attacks could be indiscriminate and could target foreigners. 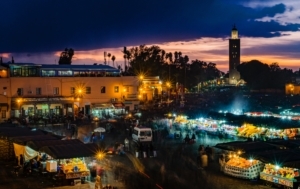 The Moroccan authorities have warned of an increased threat linked to the growing number of Moroccans sympathetic or belonging to ISIS and other extremist groups, and regularly report the disruption of terrorist cells, some of which intended to carry out attacks in Morocco. There have been incidents involving the use of knives against tourists in street attacks, thefts and burglaries in the major cities and along beaches. Petty crime is common, especially in tourist areas like the medina quarter of towns/cities and on beaches. Crimes include pick-pocketing, bag snatching and drive-by motorcycle theft of visible jewelry and handbags. Women should exercise caution, particularly when traveling alone as they could be vulnerable to unwanted attention or harassment (note also that homosexuality is currently a criminal offense in Morocco). In 2013, nearly 4,000 people were killed and over 100,000 injured as a result of traffic incidents.